Enjoy the traditional, time-tested European features--elegance on the go. 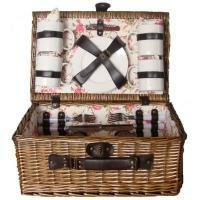 The Wynberrie picnic basket for Four from Picnic Plus can make an ordinary day-trip into something special. 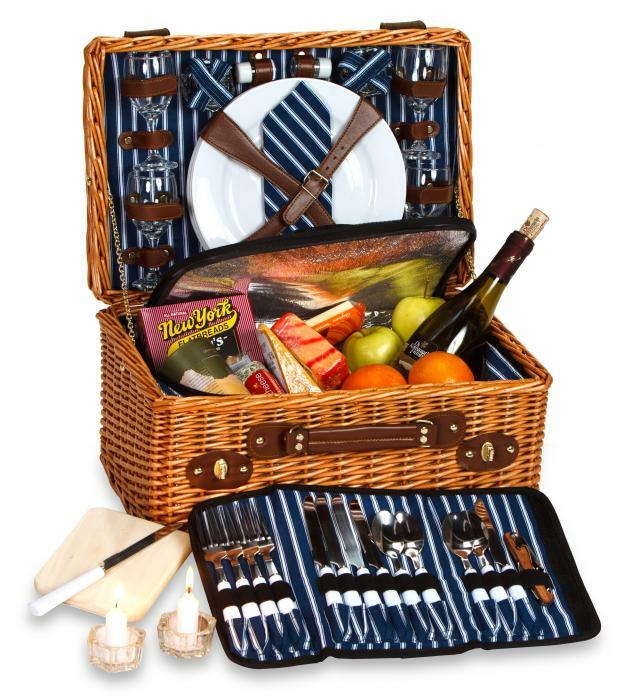 Includes handsome patterned settings for up to four people: plates, flatware, napkins, spices, cutting board all included. An extra thermal foil insulated pocket can take your picnic to the next level, and with a wine bottle-ready setup, this product delivers a truly massive value. Leather buckles and a votive candle are the cherry on top, making this an investment with truly infinite potential returns. Haven't used it yet. My husband really likes it and likes that it has glass glasses and china. Cutlery is nice looking. We have season's tickets to the Hollywood Bowl. We are both looking forward to the summer concerts. It is a good size and the houndstooth lining is good looking. I wish it came in a plastic bag like comforters come in for cleanliness. Sent as a gift. Recipient said they liked it.